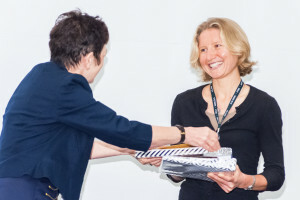 IALSP hosts a biannual conference that brings together scholars who investigate language in many social contexts, using quantitative or qualitative methods. Research in this field is multi-disciplinary, with particularly strong contributions from communication studies and communicology, social psychology, sociolinguistics, and applied linguistics. The research presented focuses on the perceptions, motivations, norms and contextual factors that influence interactants in the communication process, as well as on language and communication behavior and its consequences. 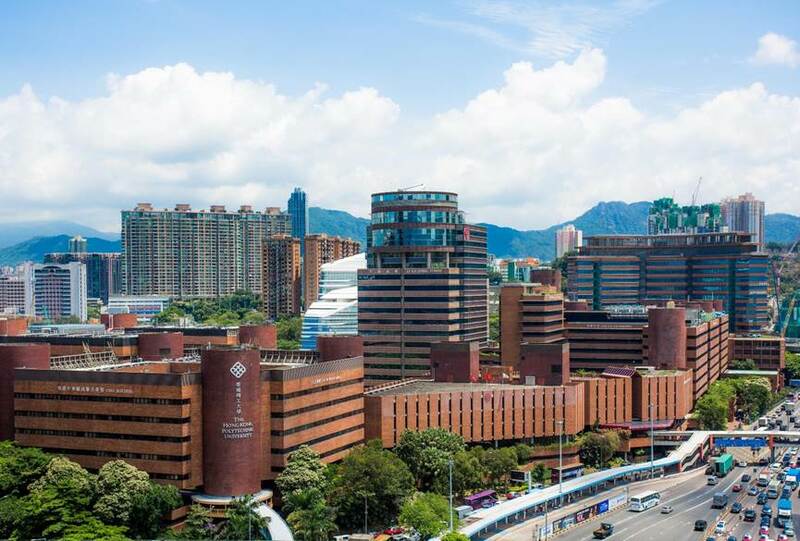 We are excited to announce that the next ICLASP will be held in Hong Kong, hosted by the Hong Kong Polytechnic University, from 17-20 June 2020. Save the dates! 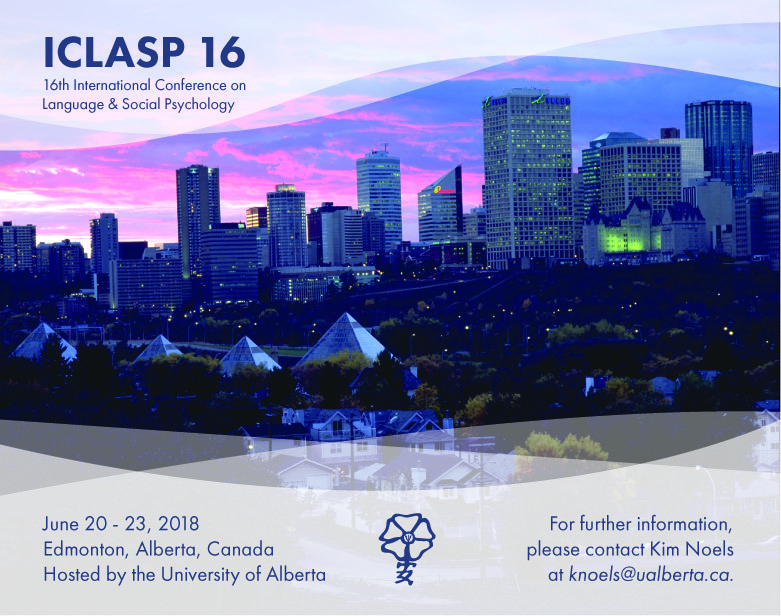 Thank you to everyone who joined us this past June for a wonderful ICLASP16 in Edmonton, and thank you to the team at University of Alberta for hosting a stimulating and memorable conference! 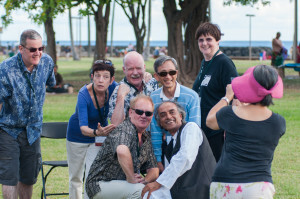 Members of ICLASP, including current and past presidents of the organization, pose at ICLASP14 in Honolulu, HI. 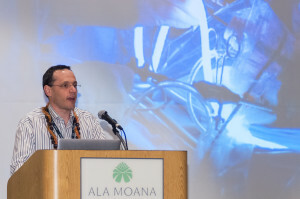 David Hewett delivers the Bradac Early Career Award lecture at ICLASP14 in Honolulu, HI. President Bernadette Watson thanks the University of Hawaii at Manoa for their efforts organizing ICLASP14 in Honolulu, HI.